Historical predictions of an oversupplied housing market caused by a mass exodus of baby boomers from their residential homes have been debunked by a new study. The report, Trends in Housing Occupancy Demand, which was published this week by Urban Futures, found that Canada will actually need another 4.5 million homes for incoming generations in the next 30 years, as baby boomers remain in their homes. Ramlo added that this phenomenon should not impact housing prices. “If we have a growing population and more people that need to be housed, it shouldn’t push down prices because supply will not start to exceed demand in that context,” he said. But, aside from building another 4.5 million homes in the next three decades, how will the industry ease the baby boomers out of their residential properties to make room for the next generations? Ramlo suggested an increase in the supply of the alternative. “If you want someone to downsize out of their single-family home, you have to give them an alternative in their community,” he added. “My parents, for example, didn’t have a great attachment to the bricks and mortar, but what they were attached to was the community. And perhaps the pure value of many of these boomer-owned residential properties will push that generation to finally put their homes on the market. “The best example here in Vancouver is Dunbar,” explained Ramlo. “Somebody who lives in Dunbar, and has done so for the last 20 or 30 years, is now sitting on a multi-million dollar property that they probably bought for maybe $30,000 or $40,000. I am baby boomer and now at 60 I want even a bigger house as for the last few years I have I wanted to spend in a gradioso environment. Some people are saving and die rich, I want to have a good life and saving is important though, I am not sure I can take anything with me. So that is the secret with baby boomers, some frugal, most not. You only have one kick at the cat, so to speak, enjoy... who is with me? Clogging the housing market?Who writes these things? Baby-boomer get blamed for everything but building this country, which we, our parents and grandparents did without texting and Facebooking all the time. We worked under much tougher labour conditions, longer hours, and paid onerous interest rates on mortgages that we paid down while raising families in our youth. Let us rest and enjoy the homes we worked so hard for as long as we want them. We don't want to be forced into "rabbit warrens" any sooner than necessary! 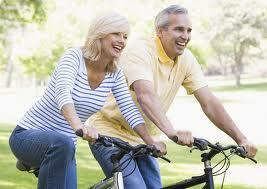 I have been hearing about the glut of baby-boomers homes hitting the market for at least 20 years. At first, it was postulated that boomers would start selling their homes en-masse in their late 40's and 50's to prepare for retirement. Didn't happen. Then it was the sure-fire theory that they would all sell and down-size at age 65, which for the leading edge of the boomer cohort is right now. Not happening. The housing bears need a new theory every week.